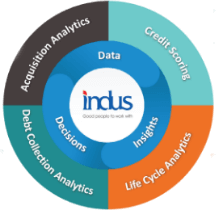 The Indus Data Science capability is intuitively different, while some choose to go for breadth by adding more data analytics solutions from multiple external sources, we choose to go for depth. Depth comes naturally to us. After all we have been in the business for more than 25 + years, have more than 150 + installations in banks across the globe and have a strong team with deep domain expertise. Today we are in a great position to deliver machine learning models. To that we add the cognitive power of our deep domain expertise to design and develop customized Customer Behavior Scoring Models. Right from the time a customer applies for loan till the time the customer fulfills the obligation, over the years, the various models of data that we have can help you engage better with your customers. To approve or not to approve. Today your team is doing a great job but they do need support. Our scoring model will help you decide faster on whether to approve the loan or not. This is real time and uses your existing data to arrive at the conclusion. With the score, you exactly know who is entering into your system and what is the plan of engaging with each customer. From approval to collections. To sell or not to sell. Using historical data, the behavior score is calculated and that can be used to decide intelligently an effective way to push forward your cross-sell and up-sell strategy. A great indicator to the collections team contribute to the revenue stream. 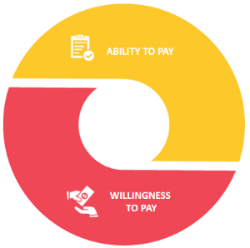 Will pay or will not pay. A situation that that a lender will know only after an event occurred. All this while that’s how it happened. 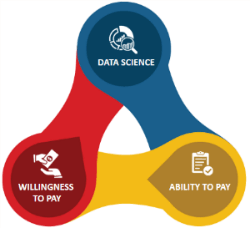 Now with machine learning models, it is definitely possible to predict who will pay or not pay. These are indicators and if they are used smartly there is a huge opportunity to cover losses.